Public and registered users can submit their feedbacks, vote for them, add new categories and feedbacks. Admins can allow anonymous voting and feedbacks. Admins can set a maximum number of votes for registered users and guests. Users can share their feedbacks on Yahoo! Messenger, twitter or Facebook. 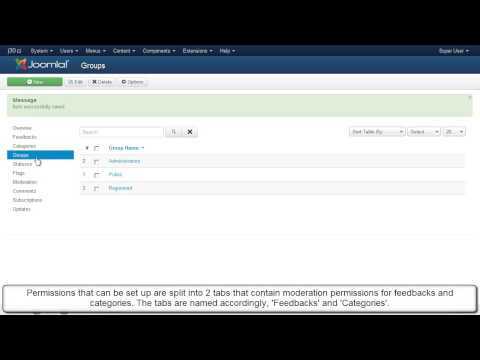 Users can keep the feedbacks clean by reporting topics as spam, duplicate, innapropriate, in the wrong category or any other custom flag configured by the Joomla! administrator.